Custom seamless gutter fabrication of 5" or 6"' of any length, and available in over 15 colors! Gutter Master offers top-of-the-line, tailored gutter fabrication and installation for homes and businesses throughout Pensacola, FL and the surrounding areas. We help protect your building from heavy rainfall, with a customized solution that will hold up for decades to come! Contact us today to learn more. It’s hard for many homeowners to see the need for seamless gutters in Pensacola, FL. After all, your home already has gutters, right? The fact is, not all gutters offer the same level of protection for your building and often, the stock solution is the one that fails. It takes tailored, customized gutters to provide your building with the best level of protection, and Gutter Master is here to offer them to you. As the premier gutter contractor in Pensacola, FL, we’re your go-to expert for customized seamless gutters in 5” or 6” sizes and 15 different colors. Seamless gutters can help jettison water away from your home more effectively. In addition, they’ll also protect your roof and foundation from flooding, keeping water out of your home’s interior! It’s this peace of mind and proven effectiveness that makes seamless gutters well worth the investment—and it’s why people choose Gutter Master for a top-quality gutter solution. In fact, coupled with gutter guards and thorough gutter cleaning in Pensacola, FL, Gutter Master provides you with complete watershed services. We’re here to help you protect your building from everything the Florida weather can throw at it. 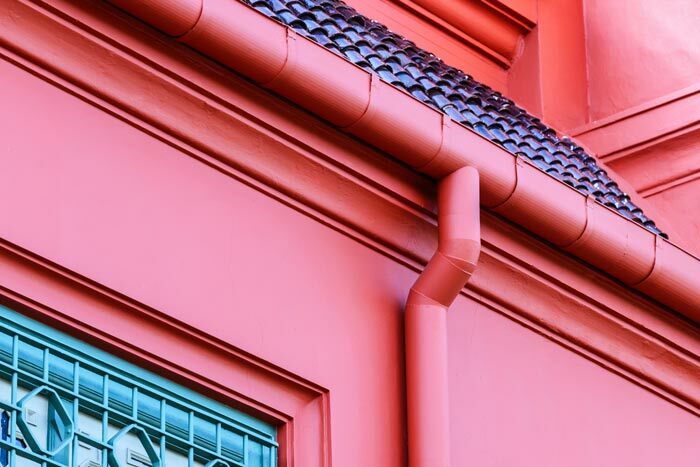 We can color-match gutters and downspouts for your convenience. Our business has been family-owned and –operated since 1990. We can custom-fabricate gutters to perfectly fit your building. Our prices are competitive and economical. For first-class gutters, fabricated and installed specifically for your home, get in touch with Gutter Master today! We’re happy to provide you with a free quote on service.